There is an incredible zeal of celebration in the heart because Holi is around the corner. It is an Indian festival which is also known as the “festival of colours” or the “festival of love”. Holi signifies the victory of good over evil. It signifies the arrival of spring, end of winter bringing in the air the fragrance of flowers and aura of warmth and happiness. The festival is not only celebrated in India but also in Nepal and some countries across the globe. Holi is the time of fun and frolic, eating and celebrating together the different colours of life. Sweets, flowers and colour add to the sacredness of the festival. It brings in the sense of togetherness, freedom and connectivity. The oneness in the hearts and warmth removes misunderstandings if any and ushers in a feeling of friendliness, love joy and bliss. In spite of being the festival of colours, there are various aspects of Holi. The festival adds significance to our lives in many ways. Ranging from socio-cultural, religious to biological there is every reason why we must heartily enjoy the festival and cherish the reasons for its celebrations. Holi helps to bring the society together and strengthen the secular fabric of our country. On this day people do not differentiate between the rich and poor. Everybody celebrates the festival together with a spirit of bonhomie and brotherhood. It is interesting to note that the festival of Holi is significant for our lives and body in many other ways than providing joy and fun. The way Holi is celebrated in the south, the festival also promotes good health. For, the day after the burning of Holika people put ash (Vibhuti) on their forehead and they would mix Chandan (sandal paste) with the young leaves and flowers of the Mango tree and consume it to promote good health. As Holi brings a feeling of oneness, positivity and fun. What’s better than encouraging yourself to add new learnings in life? Learn a new skill, language, take up a course online or strive to power up your career. There is no job better than a job that directly impacts someone’s life. Today, when we look around, there are tons of career options which we were unaware about, a decade ago. Back then, there were very limited career options unlike today, and counselling was not for everybody. But today, with change in time and education system there is an immense need for career guidance in schools today. Why are we talking about just career counselling? Well, just like the festival of colours, Career Counselling has many shades to it. Right from being a guide, mentor, teacher, to a friend, a career counsellor’s job is quite colorful in dealing with bright minds. Who can become a Career Counsellor? Just like there are multiple splashes of colors during the festival of Holi, Career Counselling as a career can splash into the lives of a Teacher, Housewife, Psychologist, Freelancer, or anyone with the zeal to make the right impact on the future generation. Add an edge to your CV with the GCC certification that gives you immense knowledge about the education and career counselling industry. The certification acts as a validation to your knowledge with a globally recognized name like the UCLA Extension. It provides an authentic certification that recognizes you as a Certified Career Counsellor. The GCC program equips you with the required skillsets to set you apart from the regular counsellors. The field of knowledge includes everything, right from career options, college application process, course structures and other aspects of the education field. The GCC course helps you gain global recognition with a well-recognized name – the UCLA Extension. It guides you in offering your expertise better to students, parents and/or institutions. The course covers deep insights that help you stay ahead of the game by sharing all the latest updates in the field of education, along with new updates in career counselling. With 3000+ candidates enrolled with the course, it gives you an opportunity to connect and learn from the GCC community. An international certification always holds weight-age as compared to other professional courses. For most of you who are heavily occupied during the day, can take the GCC course at your own convenient time. This eliminates the hassle of going to a regular college/ institute to pursue a certification course. There is a myriad of benefits when it comes to pursuing an online course. 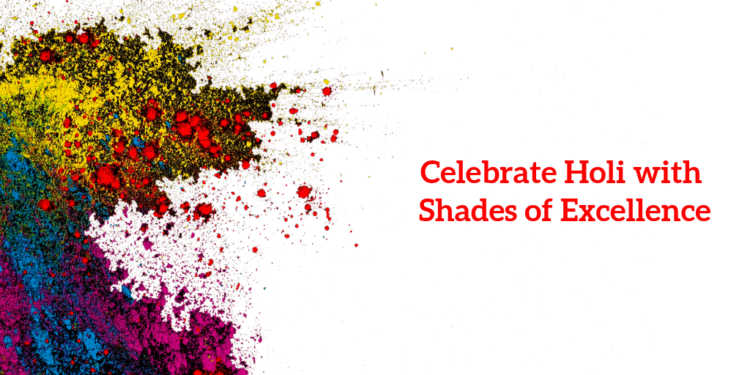 Add these shades of excellence to power up your career today! To become a Certified Career Counsellor! When is the right TIME to visit a Career Counsellor ?